Interested in starting a nature-based preschool? Or perhaps you’re an administrator interested in moving your existing preschool towards a more nature-based approach? Whatever your starting point, we’re here to offer administrative help! We offer support in the form of publications, speaking engagements, and consulting that is tailored to your particular needs. Below are administrative support services we currently provide related to nature-based preschools. Please don’t be limited by this list. If there is something else you have in mind please contact us to discuss the options. After all, each situation is unique, and our goal is for every program to be successful so we will gladly adjust our services to meet your particular needs. 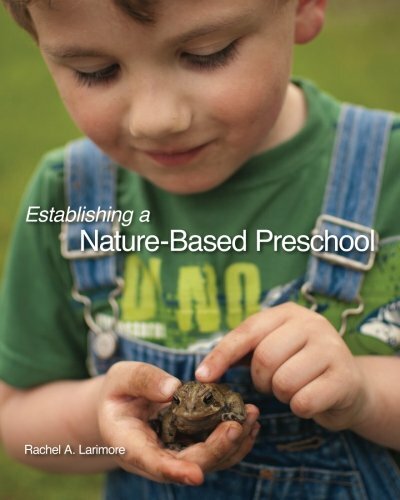 Establishing a Nature-Based Preschool by Rachel A. Larimore, Published by InterpPress. Available for purchase through Amazon by clicking here. Consulting services are customized for your particular needs. We start with a 30-45 minute phone conversation discussing the current situation, needs, and ways we can be of help. Then we generate a formal proposal outlining tasks to be accomplished, time associated with those tasks, and an associated price. Click here to request a more formal proposal in any of the areas below, or with anything else you think we could help you with—let’s talk more about the options!